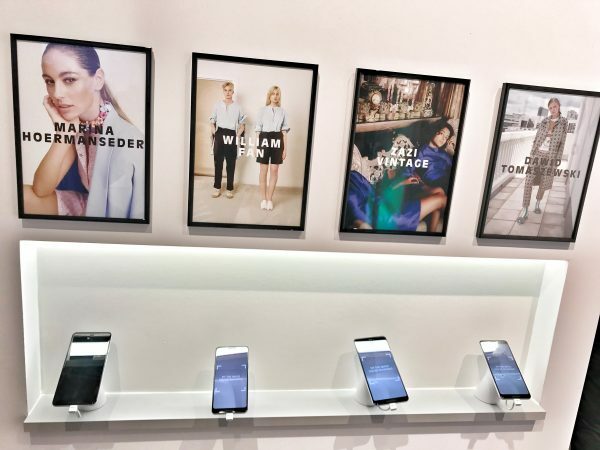 The idea of the concept store is by no means unheard of nowadays. 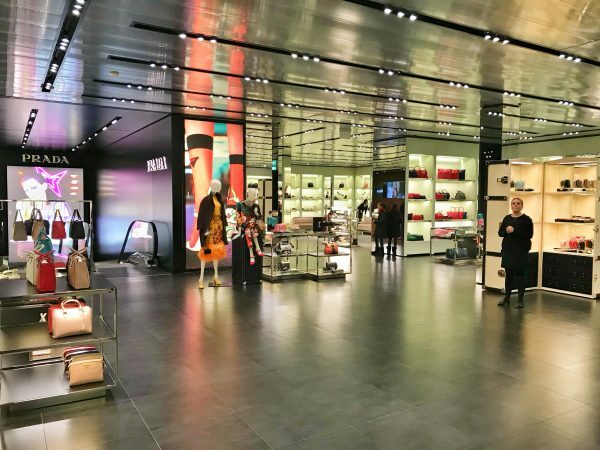 In 1990 the first one of this kind opened its doors in Milan, 10 Corso Como, followed by Opening Ceremony, Colette and Dover Street Market, just to name a few. 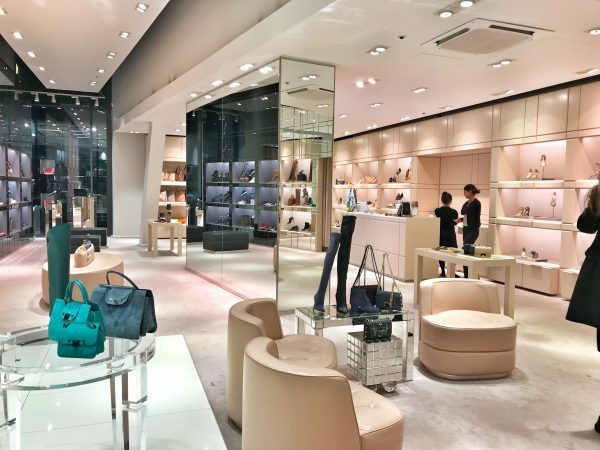 What is a concept store? A 360 degrees experience, a type of living magazine, offering a unique mix of art, fashion, one-of-a-kind homeware and accessories. Christiane Arp, Editor-in-Chief of VOGUE Germany, takes the idea a step further. 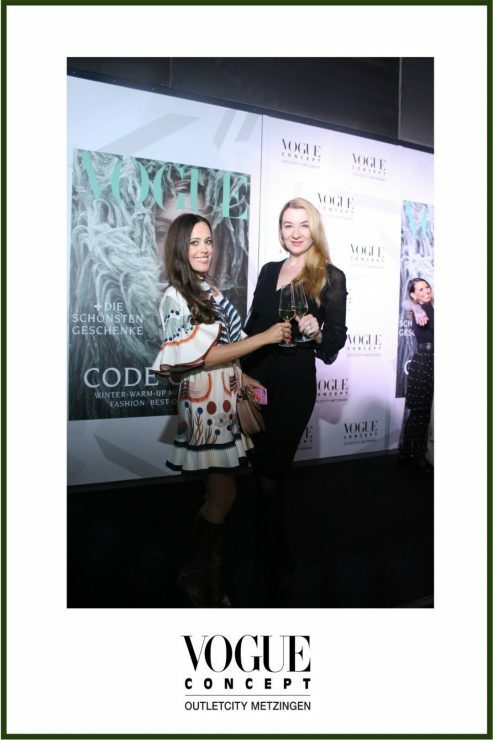 The tall blonde has been dedicated to supporting emerging talent within the fashion industry since many years. 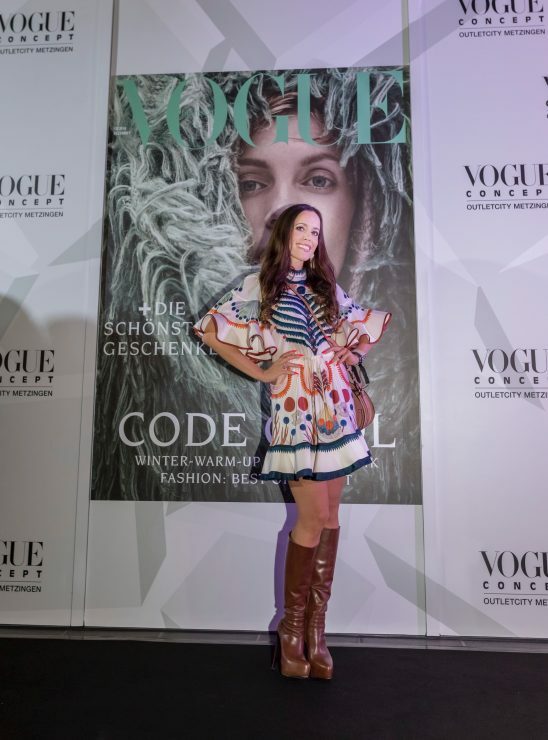 In 2011, she launched the VOGUE Salon, an initiative to grant up-and-coming German fashion designers the opportunity to present exclusive collections to industry opinion leaders. It takes place twice a year during Berlin Fashion Week. 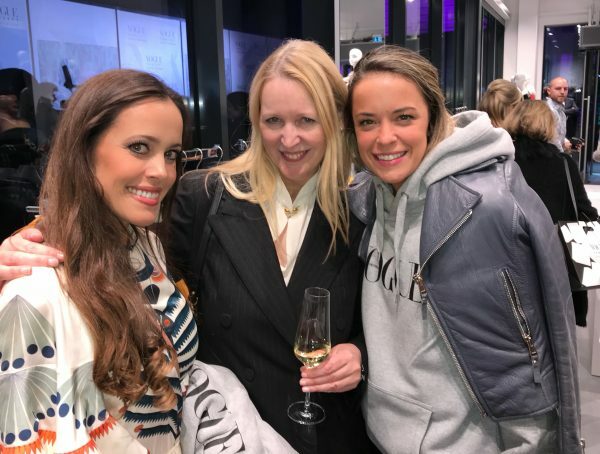 With Christiane Arp, Editor-in-Chief of VOGUE Germany, at the VOGUE concept store opening. Now, Christiane Arp takes her engagement a step further. 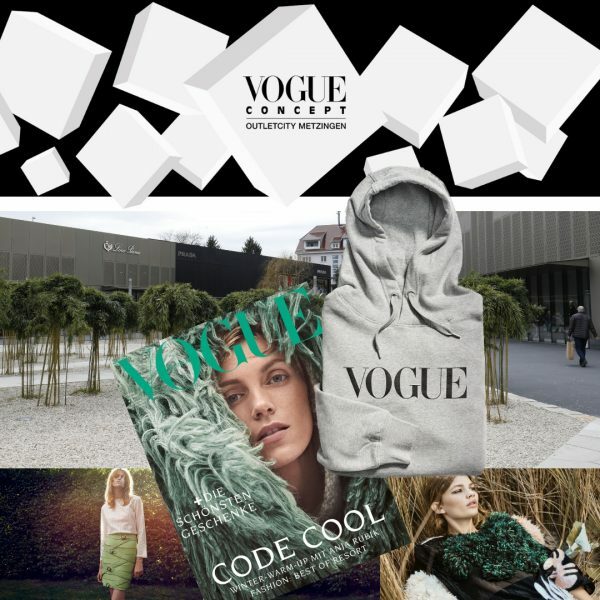 Looking for new ways for print media to attract readers and to create attention for the brand itself, she had the idea to launch the VOGUE Concept Store in cooperation with OUTLETCITY METZINGEN. From left to right: Tim Labenda, David Tomaszewski, Marina Hoermanseder, William Fan, Jeanne Zizi Margot de Kroon, Wolfang Bauer (CEO OUTLETCITY METZINGEN) and Christiane Arp. Chosen for their one-of-a-kind viewpoints and unparalleled talent were Marina Hoermanseder (click here for a previous post about her collaboration with EOS), Tim Labenda, Dawid Tomaszewski, Jeanne Zizi Margot de Kroon and William Fan. 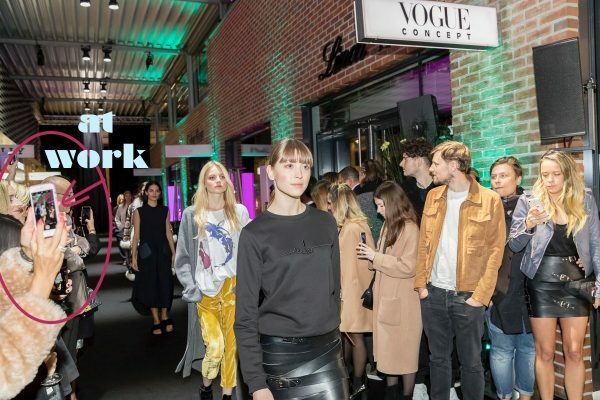 The pieces of the respective designers, which are not older than three months, were bought by OUTLETCITY METZINGEN, which is operating the store in collaboration with VOGUE that is in charge for the marketing and advertising in return. Christiane Arp herself made the selection. Always at work – here during the fashion show. It is a win-win situation – a great way to support emerging talents in Germany. The young designers receive through the sale enough money to invest in their next collection. 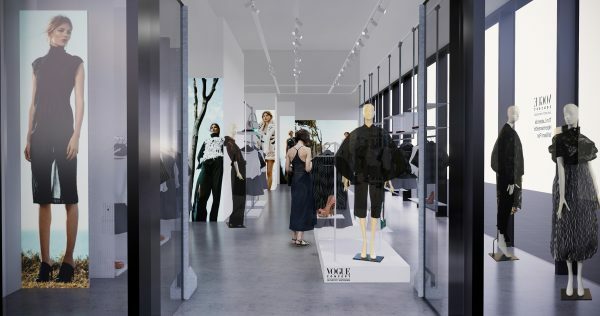 The pop-up store will be there for six month until April 2019. 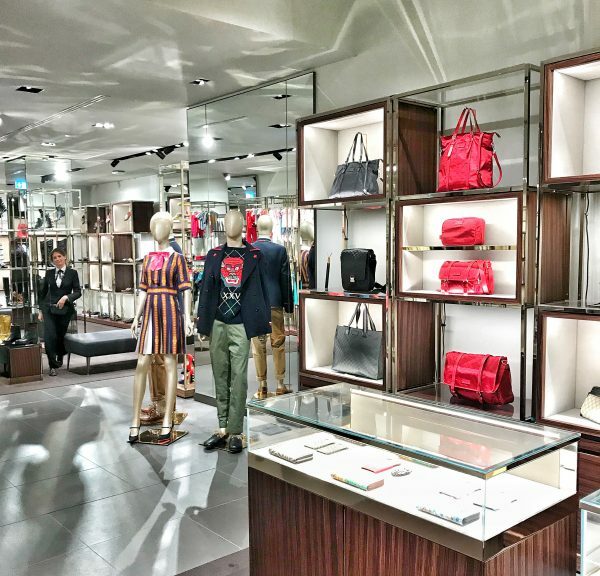 Inside, you can find many interactive and augmented reality features such as ideas how to style the pieces. Moreover, via your smartphones, you can access information about the designers themselves and their inspirations. 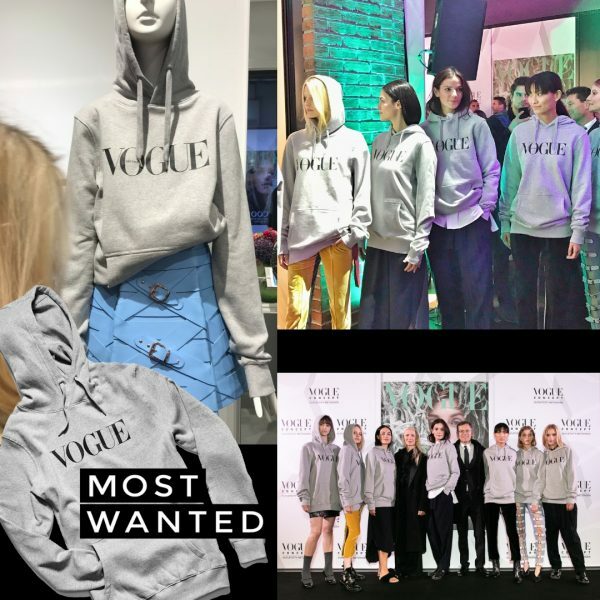 The bestseller that night was definitely the VOGUE logo tops, sweatshirts that came with the latest issue of VOGUE Germany. 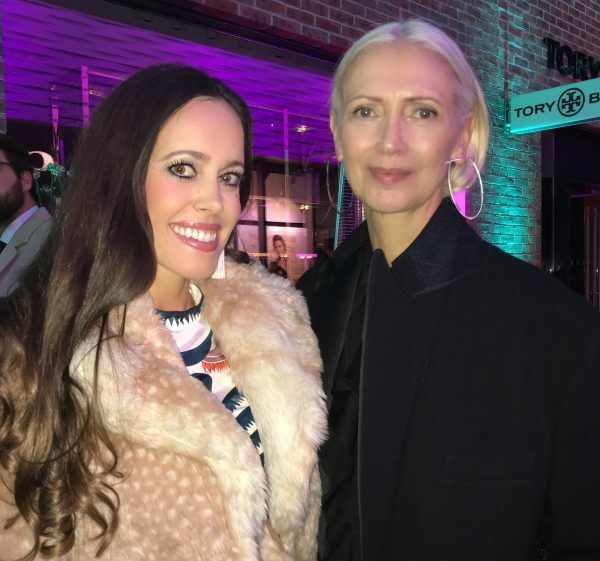 Catching up with longtime friends at the opening: Ingrid Hedley, Marketing Director VOGUE & AD Architectural Digest, and Marina Hoermanseder. 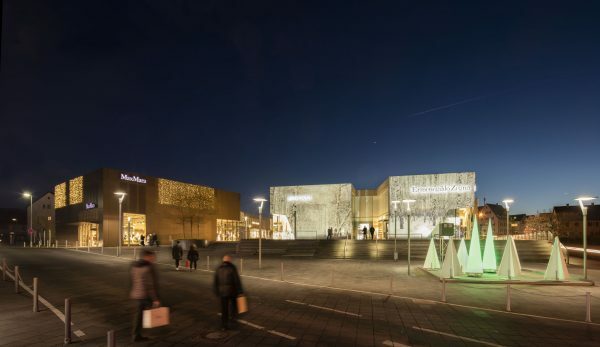 And when you are wondering why VOGUE opened in Metzingen in an outlet mall, that seems to be in the middle of nowhere, remember where Carla Sozzani opened her 10 Corso Como shop almost 30 years ago. The location seemed very far away to the people and it was not glamorous at all with its concrete floor. At the time, Via Monte Napoleone was considered the only shopping street. You have to think in new ways, especially print media… the same goes for blogging by the way. Before it’s in Fashion, it’s in VOGUE! or let’s say now in the VOGUE concept store! And before that of course in Sandra’s Closet :-)! To celebrate the 9th anniversary of my blog, I have a treat for you. 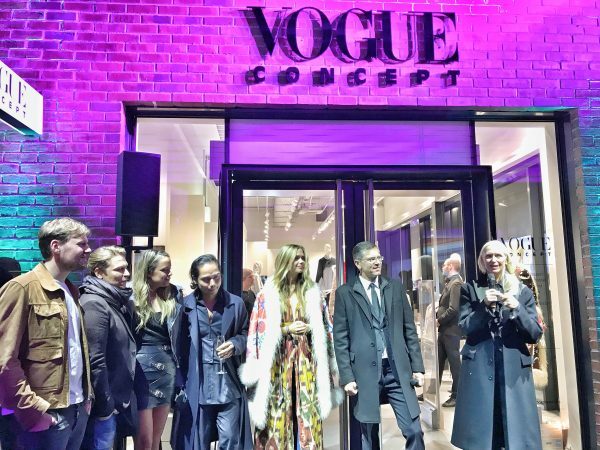 When I was at the opening party of the VOGUE concept store, I was truly overwhelmed by the size and the design of the the OUTLETCITY METZINGEN. Personally speaking, some stores look so much better and are bigger than in Zurich. I attached a few pictures for you below. The collections on display are from S/S 2018 with prices marked down up to 70%. Metzingen is not far from Stuttgart in Germany. The little village is dedicated to its OUTLETCITY. You can find many hotels and restaurants. If you prefer staying in Stuttgart, no problem, there are bus transfers for Metzingen, leaving from most of the hotels. Toasting with Christina Gobil at the opening of the VOGUE concept store to 9 years of Sandra’s Closet! Mention «Sandra’s Closet» when you arrive at the International Service Point, located at Reutlinger Strasse 58, 72555 Metzingen, Germany. 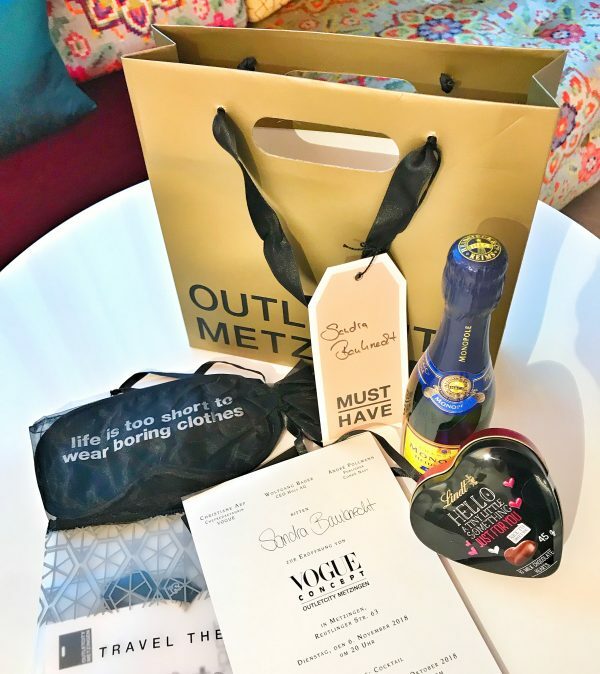 You will receive a VIP Shopping Pass, a welcome Winzersekt (a vintner’s sparkling wine – German kind of champagne) and a coffee voucher. 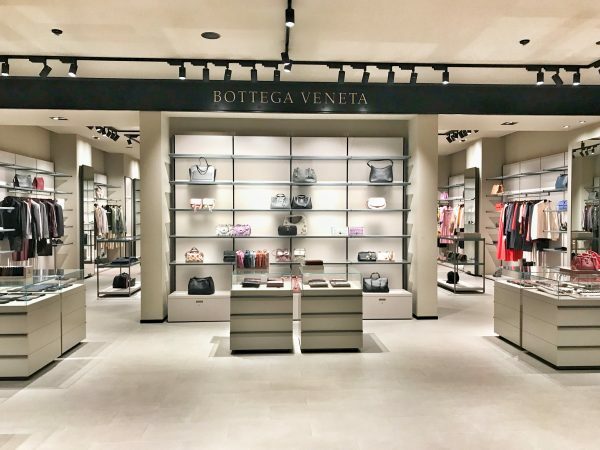 The VIP Shopping Pass offers also an extra 10% discount at the Vogue Concept Store and other participating stores. The offer is valid until March 31st, 2019. 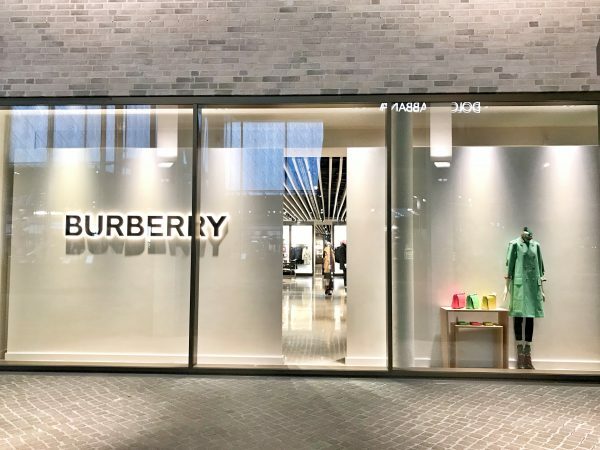 The Burberry shop in OUTLETCITY METZINGEN has already the new logo. The whole area looks like one of those amazing gigantic US shopping malls.